Sir Harold Alfred MacMichael was a British colonial Administrator. Educated at Bedford School, MacMichael graduated with a first from Magdalene College, Cambridge. After passing his civil service exam, he entered the service of the British Empire in the Anglo-Egyptian Sudan. He then served in the Blue Nile province until 1915 when he became a senior inspector of Khartoum province, rising to the position of civil secretary in 1926. In 1933 he became Governor of Tanganyika until 1937. The next year he became High Commissioner of the British Mandate of Palestine and was blamed for sending at least 768 Jewish refugees aboard MV Struma to their deaths. Seven unsuccessful attempts, mainly by Lehi, were undertaken to assassinate him during his sojourn in Palestine. In the last, both he and his wife narrowly escaped death in an ambush Lehi mounted on August 8, 1944 on the eve of his replacement as High Commissioner. 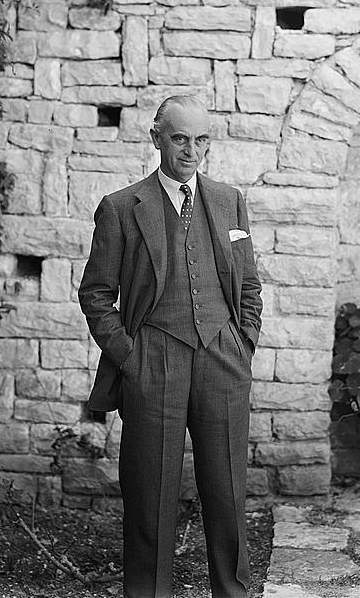 MacMichael also served a stint as High Commissioner of Malta. The British Military Administration set to task of reviving pre-war plans for centralised control over the Malay states within days after British Allied forces landed in Singapore on September 5, 1945. MacMichael, who had then completed his stint as High Commissioner of the British Mandate of Palestine was empowered to sign official treaties with the Malay rulers over the Malayan Union proposal scheme. MacMichael made several visits to the Malay rulers, beginning with Sultan Ibrahim of Johor in October 1945. The Sultan quickly consented to MacMichael's proposal scheme, which was motivated by his strong desire to visit England at the end of the year. MacMichael paid further visits to other Malay rulers over the proposal, and sought their consent over the proposal scheme. Many Malay rulers expressed strong reluctance in signing the treaties with MacMichael, partly because they feared losing their royal status and the prospect of their states falling into Thai political influence. The treaties provided that United Kingdom had full administrative powers over the Malay states except in areas pertaining to Islamic customs. The Malays strongly protested against the treaties, as the treaties had the effect of circumscribing the spiritual and moral authority of the Malay rulers, which the Malays held high esteem over it. Communal tensions between the Malays and Chinese were high, and the prospect of granting citizenship to non-Malays was deemed unacceptable to the Malays. Opposition to Malayan Union and MacMichael's perceived highhanded ways in getting the Malay rulers consent led to the birth of Malay nationalism in then British Malaya.